You're here » Home » Marketing Strategy » No Time for Marketing? When you’re running a business – especially your own, you probably find that all too often there aren’t enough hours in the day. With payroll, taxes, staffing, operations, products, vendors and countless other factors to worry about, it’s amazing if you can even find the time to actually market your business. 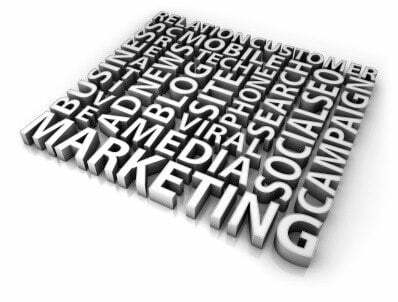 Unfortunately, marketing is a crucial ingredient in the success of your business. But if you don’t have the time or the experience to market your business properly, you could be missing out on some phenomenal growth opportunities. Experience and Expertise: Sure, you know the ins and outs of your products and services. That said, you may not know what vehicles and venues are most appropriate to market them. An outside firm that is familiar with your industry can really get your company where it needs to be – in your customer’s sight! An Outside Opinion: Chances are, you live and drink your business. While that’s commendable, it can often skew your view and keep you from looking at your product or service with a marketer’s eye. An outside group can give you neutral third-party feedback on what about your business will appeal to the general public, and how best to promote that. Analytics: Real marketing experts can not only plan and implement a marketing plan for your business, but they can also track your results to give you quantifiable results and definite ROI. Any outsourced marketing team should be able to help you define goals and objectives, and then work to achieve them. Are you ready to clear some responsibility off your plate and see what a few fresh creative minds can do for your business? Give NeONBRAND a call today. Ever outsourced? Tell us about your experiences below. Headline: No Time for Marketing?